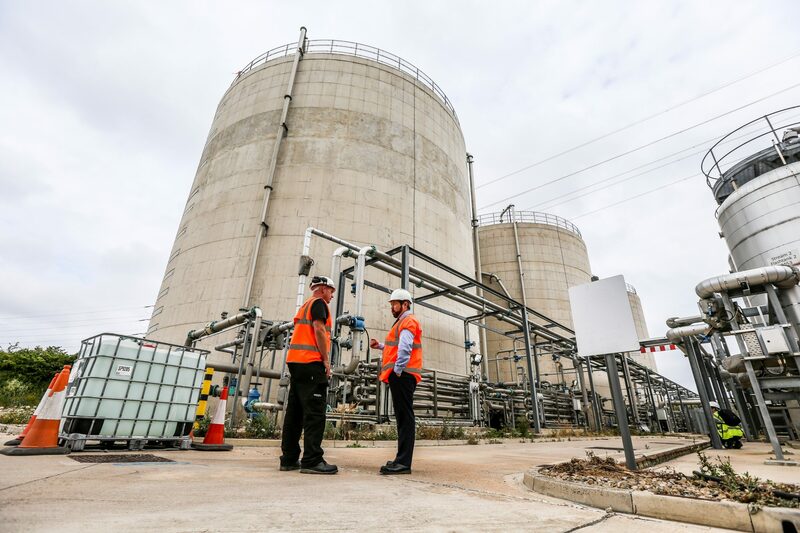 Total Water Solutions (TWS) has been involved with a wide variety of Anaerobic Digestion (AD) solutions, including two major treatment plants; Bran Sands, which is based in Tees Port on the South Bank of the river, and Howdon, located at the mouth of the Tyne. The organisation, which is part of Northumbrian Water Group (NWG), is working to reduce the utility’s running costs and carbon emissions. In addition to supporting NWG, TWS has pledged to cut its emissions by 35% between 2008 and 2020. It offers services and products to the commercial sector, including the strategic management of water. The AD plants create green energy by processing sewage sludge, and NWG is the first water company in the UK to fully recycle the materials that remain after the sewage has been treated, in order to create renewable energy. Each year, the two plants combined process approximately 75,000tds of sludge, which results from the treatment of domestic and industrial sewage. Tony Rutherford, Process Optimisation Controller at NWG, explains: “The digestion and combined heat and power (CHP) elements of processing sewage and sludge are well established, however conventional treatment is a lengthy method, taking approximately 30 days in traditional digesters. Where our treatment plants are revolutionary is the introduction of thermal hydrolysis, which reduces this time by 50%, meaning it takes approximately 15 to 18 days to break the waste down. This reduction in time means that a higher volume of waste can be processed into power more quickly, generating more money for the organisation. “For companies that deal with human, agricultural, or household waste, AD is an ideal solution to consider, it is a more cost-effective option than standard disposal or sewerage costs. With companies increasingly aware of their impact on the environment, it is important to identify that the plants fully recycle the sludge, making it an environmentally-friendly and sustainable method of energy production. “The AD plants use cutting-edge technology to deliver high-efficiency results at a lower cost to organisations, ensuring that everyone benefits from using the plants. Our Howdon and Bran Sands sites serve many different types of businesses, so even organisations that don’t produce enough waste to warrant purchasing an AD system of their own can benefit from our services. At present, our plants are able to produce 50% more biogas than conventional methods of anaerobic digestion. NWG produces approximately 30,000,000m3 of biogas from sludge per year. Andrew Sinclair, Business Development Manager at NWG Total Water Solutions, continues: “The AD sites fit in with TWS’s business model, which revolves around three major areas. The first is supporting businesses to understand usage and drive efficiency, using methods including leak protection, automated meter readings, and pipe repairs. The second area is compliance, which heavily focuses on the monitoring and removal of legionella bacteria, but also incorporates activities including fire hydrant testing and pressure reducing valves. The third is water management, which encourages companies to consider how they might be losing water, or could re-use their waste water. “Water is often considered to be the poor relative, as it’s cheaper than electricity and people often take it for granted. If an organisation doesn’t have a strategic approach to its water management or water network, it is probably losing water somewhere. TWS offers solutions on grey water harvesting, rainwater harvesting, and we have experts who can advise on pre site treatments and what you can do with waste streams that come in. The by-products from certain processes can be converted into biomethane, which can in turn be converted into electricity or be scrubbed and sold back to the grid as natural gas, which itself can be an additional revenue stream. Do you want to improve performance and lower your bills?